Red Bank Church of Christ Saturday. Agent Dewey Woody, with Tennessee Department of Safety and Homeland Security, presented the program on safety and security for today's world. 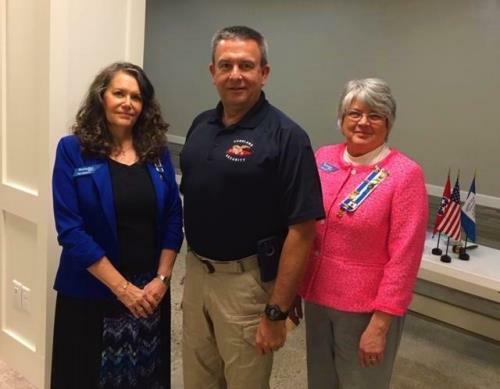 Agent Woody is a veteran of the U.S. Army, Bradley County Sheriff's Department, Cleveland Police Department, chief of Bradley County Fire-Rescue, and deputy director and chief operating officer of TEMA before joining the Homeland Security agency. Agent Woody is certified to teach a variety of fire, rescue, and law enforcement classes.